The University Library invites the campus community to join a conversation with Victoria Stodden (Columbia University) on “Opportunities and Challenges for Open Data and Code: Facilitating Reproducibility”. 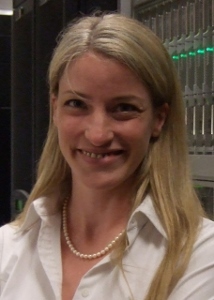 Known for her research and policy work on open data and reproducible science, Victoria Stodden is an assistant professor of Statistics at Columbia University and with the Columbia University Institute for Data Sciences and Engineering. After pursuing degrees at Stanford in Statistics and Law, her research has focused on the problem of enabling reproducibility in computational science. Victoria has developed the acclaimed “Reproducible Research Standard,” a suite of open licensing recommendations for the dissemination of computational result and is the co-founder of RunMyCode, an “open platform for disseminating the code and data associated with published results, and enabling independent and public cloud-based verification of methods and findings.” She serves on the National Academies of Science Committee on “Responsible Science: Ensuring the Integrity of the Research Process” and on the National Science Foundation’s Advisory Committee on Cyberinfrastructure (ACCI). Sponsored by the Scholarly Commons of the University Library and made possible through a generous gift from the Division of Intercollegiate Athletics. This entry was posted in Data Services, Events, Open Access by sshreeve@illinois.edu. Bookmark the permalink.